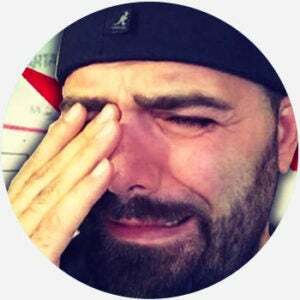 Keemstar is the online handle of prolific YouTuber Daniel Keem, best known for his series DramaAlert, which reports on conflicts between popular personalities on YouTube. Provocateur culture is growing. Keemstar is one of YouTube’s most notorious creators because of his provocative opinions on other YouTubers. DramaAlert, Keemstar’s nightly ‘news’ show, developed a massive audience because of his take on other provocative creators. Keemstar’s platform might be modern, but his method is classic tabloid. He tends to model the vocal gymnastics of ‘90s shock jocks, stretching his vowels as if every word he says could be “KA-blam!” His sources, when he has them, are often anonymous. He moves quickly from one rumor or beef to the next, giving viewers just enough information to understand his caustic burns. Where does Keemstar come from? Daniel Keem, from Buffalo, New York, first assumed his online moniker as DJ Keemstar, a compound of his surname and star (à la rockstar), in a popular YouTube “Let’s Play” video in early 2009. Using the Xbox Live gamertag DJ Keemstar in Halo 3, Keem rose to prominence on YouTube as “Halo’s #1 Trashtalker.” During online matches, Keemstar would launch profane tirades against his opponents. This aggressive lampooning of other players made Keemstar notorious on YouTube, leading him to create a channel called DramaAlert in 2014. DramaAlert is fashioned as a news show that covers petty feuds between popular YouTube personalities. The channel helped further Keemstar’s career as an internet personality in his own right. Keemstar is a polarizing presence on platforms like YouTube and the video-game streaming service Twitch. He’s known to provoke conflicts over the internet for entertainment purposes, which makes him endearing to some. To others, not so much. Keemstar has been roundly criticized as a bully, provocateur, and online troll. He has been recorded using racial slurs and making other offensive or hateful remarks during live streams. Controversial YouTubers like Keemstar are criticized for actively seeking out and instigating drama as a means of generating notoriety and viewership. While popularly referred to as Keemstar, Daniel Keem also goes by DJ Keemstar and Killer Keemstar to the over 3.5 million subscribers to his DramaAlert. Thanks to the angular shape of his beard, some internet users mock him as Gnomestar or Gnome, the mythical figure associated with point hats. His name is typically associated with YouTube drama or public spats between YouTube personalities, and it is discussed in terms of internet culture and trolling.